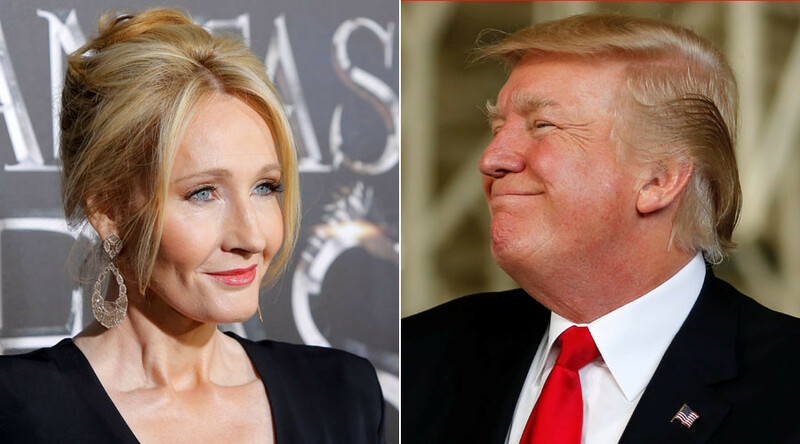 Harry Potter author JK Rowling has apologized over her scathing comments about US President Donald Trump’s meeting with a disabled child – but not to the tycoon himself. Rowling took to Twitter to savage the US leader on Monday, alleging he had ignored a small disabled boy who tried to shake hands with him during a visit to the White House. Full footage of the incident was later released which exonerated the president and showed he interacted with the boy. “How stunning, and how horrible, that Trump cannot bring himself to shake the hand of a small boy who only wanted to touch the president,” Rowling had tweeted. On Tuesday, she returned to social media to acknowledge she had misfired, but stopped short of apologizing to the president. “Re: my tweets about the small boy in a wheelchair whose proffered hand the president appeared to ignore in press footage. Rowling has since deleted her original tweets.